This week in car news brings a new Alfa Romeo 5 Series rival, the facelifted Maserati Quattroporte and spy shots of the all-new Audi SQ2! The Maserati Quattroporte saloon has been facelifted and brings two new trim levels along with it. It firstly receives a number of styling changes and minor revisions, including a new front bumper that is similar to the new Levante SUV, which comes accompanied by some meatier air vents. It also comes with a new electrically adjustable air splitter, an improved dashboard layout with a new 8.4-inch touchscreen, adaptive cruise control, 360-degree camera and a new electric handbrake. The two new trims that accompany the facelift are the GranLusso and GranSport, with the former focusing on luxury, whilst the latter focuses on sport. Uprated alloy wheels, silk or sports-styled interiors and plenty of appropriate tech and extras come with each trim, with both starting at £78,910 and available to order today. Italian manufacturer Alfa Romeo have confirmed plans that they're developing a new executive saloon to challenge the 5 Series. The car, which is currently unnamed, will act as a bigger brother to the new Giulia and will share a lot of the same features including the engine range, rear-wheel drive setup and of course styling. Whilst you may be wondering how the car will look, the smart chaps at AutoExpress have put together a render of how the car might look and it does look pretty damn nice. Engines will include the 2.2-litre diesel or 2.0-litre petrol sporting up to 178 bhp and 197 bhp respectively, but also the meaty V6 twin-turbo powering the Giulia Quadrifoglio, meaning an impressive 503 bhp and 443 lb ft of torque. Whilst no more details have the car have emerged, it is expected to go on sale by 2018 so you'd imagine more news will trickle out over the next 12 months. Is this the name for Bentley's two-seater sports car? Bentley's new two-seater sports car is set to arrive in 2019 and it looks as though it'll be called the Barnato. 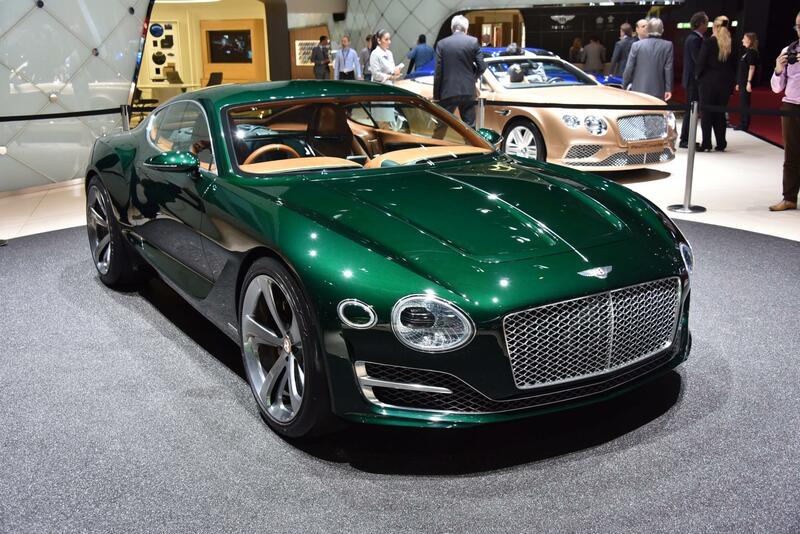 The Barnato started life as the EXP 10 Speed 6 concept, but after Bentley received a phenomenal response from their customers, they decided to turn that concept into a reality. The name Barnato was trademarked two years ago along with the upcoming Bentayga, and is derived from former Bentley chairman and three-time Bentley Le Mans 24 Hours champion Woolf Barnet. The car itself is said to sit alongside the Continental GT and cost around £130,000. It'll most likely shares the same engines too, so expect either a 500 bhp 4.0-litre twin-turbo V8 or a 576 bhp 6.0-litre twin-turbo W12 engine powering the Barnato, or maybe even both. Details of the care are scarce as Bentley are keeping them firmly under wraps, but hopefully more will emerge as the year progresses. The all-new sporty Audi SQ2 has been spied at the Nurburgring undergoing testing. A few weeks ago we brought you the news that an SQ2 is in the works and now we have proof of it as it's been spotted at The Green Hell getting put through its paces. As you can see the crossover SUV is boasting a far sportier look, with a wider body kit, flared arches, quad exhausts, and big alloy wheels, plus the usual black grille, vents and C-pillars. Under the hood is the same 2.0-litre turbo four-cylinder in the Audi S3, which currently boasts a 296 bhp power output and 0-62 mph time of 5.1 seconds. Therefore you'd expect the SQ2 to be around the same, but perhaps marginally slower due to it's heavier kerb weight and lesser aerodynamic shape. The SQ2 is expected to cost around £35,000 but is unlikely to make a public appearance until some time next year. 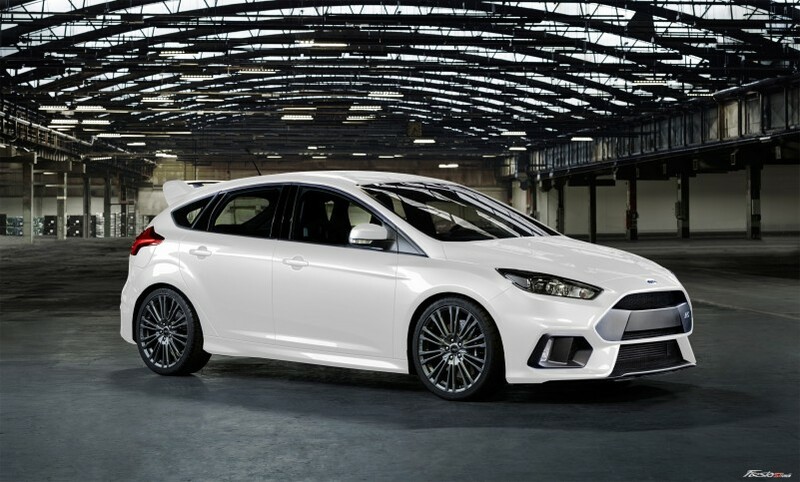 The folks over at Mountune recently announced their Phase 1 upgrades for their Focus RS, well now they've gone a step further and announced Phase 2. For those of you that don't know, Mountune are a specialist Ford tuner based in Hutton, Essex, and are well-known for their performance upgrades on Ford cars. Their latest offering is this Phase 2 pack, which focuses on improving and maintaining performance as a result of a new differential, induction kit, charge pipe, intercooler and more. Each and every party has rigorously tested on the Nurburgring to ensure they are reliable, functional and safe. However if you're looking for a bit more power you'll probably be disappointed as the Phase 2 pack offers no performance gains. Instead you'll have to wait for the full Performance kit which is due to be revealed soon, which could mean up to a whopping 400 bhp at your disposal!